Prescott Sheldon Bush is a traitor. The Bush political family dynasty began with Prescott Sheldon Bush Sr. who helped Hitler’s rise to power. Prescott also became the Director of Union Banking Corporation when it was suspected of concealing Nazi gold during the Second World War. Both Prescott’s son, George Herbert Walker Bush, and grandson, George Walker Bush, became the 41st and 43rd Presidents of the United States, respectively, who both initiated wars with Iraq that profited companies with Bush family ties, such as Halliburton and KBR. George Bush’s grandfather, the late US senator Prescott Bush, was a director and shareholder of companies that profited from their involvement with the financial backers of Nazi Germany. His business dealings, which continued until his company’s assets were seized in 1942 under the Trading with the Enemy Act, has led more than 60 years later to a civil action for damages being brought in Germany against the Bush family by two former slave labourers at Auschwitz. The debate over Prescott Bush’s behaviour has been bubbling under the surface for some time. There has been a steady internet chatter about the “Bush/Nazi” connection, much of it inaccurate and unfair. But the documents, many of which are now declassified, show that even after America had entered the war and when there was already significant information about the Nazis’ plans and policies, he worked for and profited from companies closely involved with the very German businesses that financed Hitler’s rise to power. It has also been suggested that the money he made from these dealings helped to establish the Bush family fortune and set up its political dynasty. Remarkably, little of Bush’s dealings with Germany has received public scrutiny, partly because of the secret status of the documentation involving him. But now the multibillion dollar legal action for damages by two Holocaust survivors against the Bush family, and the imminent publication of three books on the subject are threatening to make Prescott Bush’s business history an uncomfortable issue for many within the Bush family. While there is no suggestion that Prescott Bush was sympathetic to the Nazi cause, the documents reveal that the firm he worked for, Brown Brothers Harriman (BBH), acted as a US base for the German industrialist, Fritz Thyssen, who helped finance Hitler in the 1930s before falling out with him at the end of the decade. Evidence shows Bush was the director of the New York-based Union Banking Corporation (UBC) that represented Thyssen’s US interests and he continued to work for the bank after America entered the war. 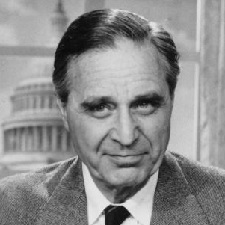 The Prescott Bush story has been condemned by both conservatives and some liberals. It has also been suggested that Prescott Bush had little to do with Averill Harriman and that the two men opposed each other politically. More than 60 years after Prescott Bush came briefly under scrutiny at the time of a faraway war, his grandson was facing a different kind of scrutiny but one underpinned by the same perception that, for some people, war can be a profitable business. CLICK HERE to read about his treasonous son George Herbert Walker Bush. CLICK HERE to read about his treasonous grandson George Walker Bush.